The start of the boy's varsity cross country race at the Bob Shay Invitational in Wood River at the Community School. 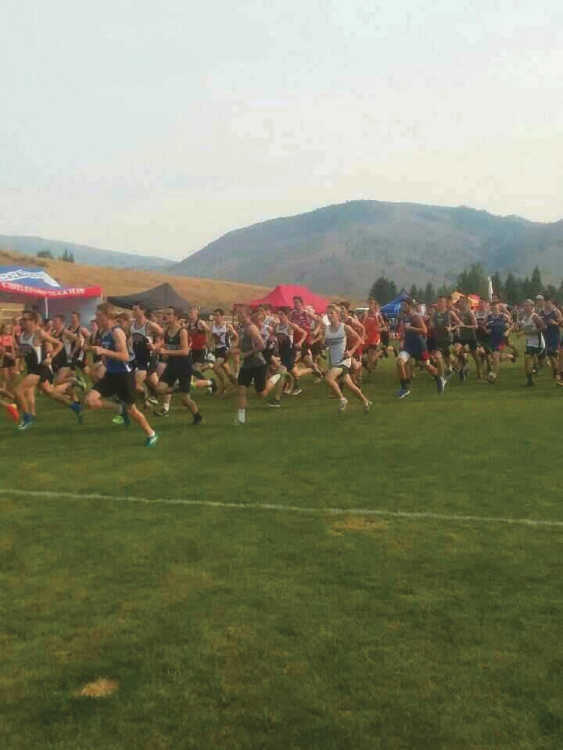 The Mountain Home Cross Country team competed at the Bob Shay Invitational on Sept. 7. The girls varsity team finished in third place behind and the boys finished in fourth. For the full story, pick up a copy of the Mountain Home News or click on this link to subscribe to the newspaper's online edition.